If you’re a streamer, getting trounced by stream snipers is a pain. Some players, though, live for the thrill of coming face-to-face with their favorite streamers in games—and maybe even besting them. A new Fortnite feature that anonymizes streamers’ names, then, could represent something of an impasse. Fortnite is a game with a lot of streamers. Some of them are even Drake. The game’s large match sizes and general unpredictability have led to an epidemic of stream snipers: people who join the same matches as streamers and either hunt or troll them. 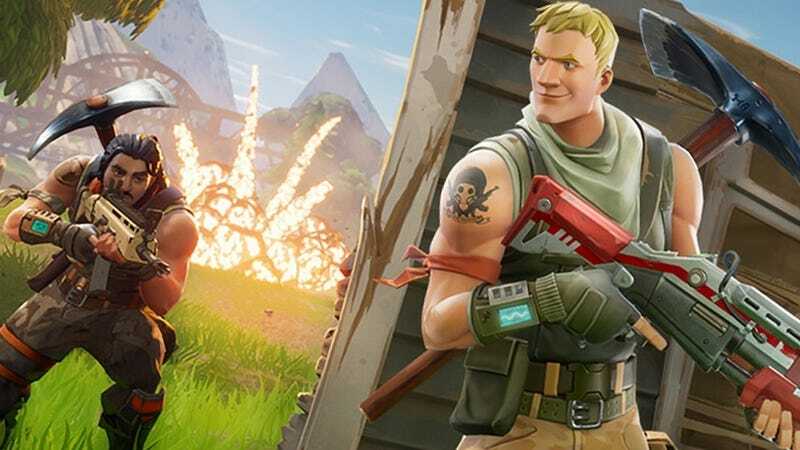 As part of an ongoing effort to make it harder for stream snipers to do their thing, Epic recently updated Fortnite’s optional streamer mode so that it randomizes streamers’ names for other players. Some streamers, like Twitch demigod pixie man Ninja, adore this change. “STREAMER MODE HIDES THE STREAMERS NAME IN THE KILLFEED LETS GOOOO,” he tweeted in excitement earlier this week. Given that he’s the biggest thing on Twitch by a mile, Ninja’s streams often get dog-piled by stream snipers. Buried underneath all those dogs, however, is an interesting dynamic: some smaller streamers believe they can hit it big if they manage to out-play Ninja or other popular streamers during their own streams or videos. That said, people kill Ninja every day. They’re not all famous. Other objectors to the new feature don’t even have their hearts set on fame and fortune. They just find the idea of meeting or taking out a hotshot streamer exhilarating. Some also believe that previous methods of deterring stream snipers—for instance, putting streams on a delay so that viewers can’t track them in the moment—should be enough. The general line of reasoning from folks like this seems to be that stream snipers poisoned the well for everybody else. If nothing else, that’s probably a sentiment most of us can agree on. So yeah: damn you, stream snipers.